To anyone who enjoys Christmas trees, we say “Wie treu sind deine Blätter!” This means “how faithful are your branches”, a line from “O Tannenbaum,” the German Christmas carol. “O Tannenbaum” (Oh Christmas Tree)* was originally a folk song from Germany that’s been translated to English and sung here in the United States for years. In fact, Nat King Cole sang a classic version in German if you’re ever interested in hearing the original version. A bit of trivia: *The tune for “O Tannenbaum” is also used for the state song of Maryland—if you’re from there, or went to university there, you might have heard the state song if you haven’t heard the holiday version! Just like they got us hooked on the song about evergreens, Germany was instrumental in getting us hooked on the decorated Christmas tree tradition as well. The evergreen tree is likely a Yule custom carried over and remade from Celtic and/or Scandinavian pagans. Regardless of the origins of the custom of bringing an evergreen into your dwelling place during the year’s darkest days, this much is for sure: having a Christmas tree is now a tried and true American holiday tradition. Since Christmas trees have become more secular and are so popular, the Christmas tree industry is a huge business in the United States. In 2007, Americans spent over $460 million on cut trees. The Federal government wants to support this industry, and people’s holiday happiness. To help people keep their holidays safe, the Federal government publishes a number of Christmas tree fire safety publications, such as the U.S. Fire Safety Administration’s (USFA) Christmas/Christmas Tree Fires and December and Holiday Fires. Image: US Fire Safety Administration’s Winter Holiday Fire Safety infographic. According to the USFA, fire deaths increase by 50% between December 24 and 26, and injuries during that period increase by 61%. As the USFA pointed out, “In residential structure fires where the ignition point is a Christmas tree or other holiday decoration, the fire is typically more severe in every measurable way (p.2)”. For tips on avoiding Christmas tree fires, and to view a video on proper Christmas tree safety, take a look at USFA’s Holiday & Christmas Tree Fire Safety Outreach Materials. You’ll be able to increase your awareness and look out for your family’s welfare while continuing to enjoy your household decorations. If you and/or your family enjoy going out to pick a tree and cut it, you might be able to pick one up from a national forest. For example, the Federal government has harvested all of the Capitol Christmas trees from national forests. In fact, the 2009 tree was a blue spruce that came from the Apache-Sitgreaves National Forest. Certain forests have designated areas where it is possible to cut Christmas trees, once you have paid for your cutting permit. Contact your local national forest for its policies; you’re especially likely to find Christmas tree cutting areas in the West. Some national forests post their Christmas tree maps online. You can download Kenai National Wildlife Refuge, Soldotna, Alaska: Christmas Tree Cutting Areas and Maps of 2013 Cutting Areas in the Apache and Sitgreaves National Forests. You’ll be pulling your tree from a prestigious tree-growing area, if you do decide to get a permit from a national forest. The trees are for personal use only, and Forest Service allows only one tree per household. Permits for the trees are quite cheap, compared to what I paid at my local Washington, DC, area hardware store. You do have to factor into the cost a bit more money for the gas it takes to haul a tree out of the forest and get it home. However, some experiences, such as holiday traditions spent together with family and friends, are priceless. Some families buy live Christmas trees then plant them when the holidays are over, while others use a cut tree for the holidays then plant a new tree in the spring as a symbol of renewal. To explain to children the need for cutting trees as well as the value of this renewable resource, the Forest Service has published the best-selling publication “Why Would Anyone Cut a Tree Down?” It is full of explanations of need to remove trees for fire management and helping prevent overcrowding, and gives instructions on how to plant a tree as well. To care for your live tree once it’s planted, be sure to check out How to Prune Trees to keep your tree looking and growing its best. And the useful How To Recognize Hazardous Defects in Trees will help you identify problems in a tree that could be detrimental to its health. Here in the Nation’s capital, there are a number of famous Christmas trees. 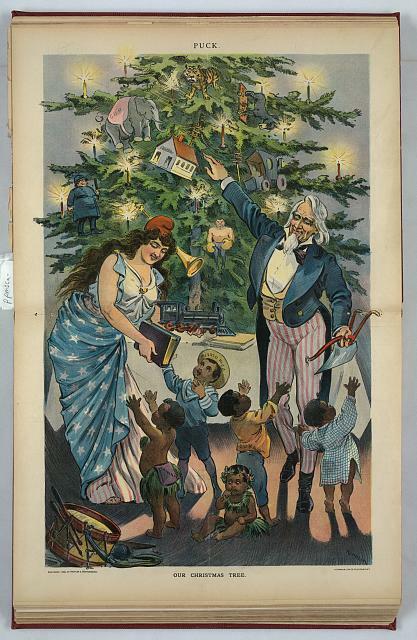 Since 1923, the United States has held a tradition of having a National Christmas Tree lighting in Washington, DC, starting with President Coolidge lighting the “First National Christmas Tree.” Starting in 1954, a “Pathway of Peace,” 56 smaller, decorated trees representing all 50 states, five territories, and the District of Columbia were planted surrounding the National Christmas Tree. They stay decorated through New Year’s Day. Today, the annual lighting ceremony on the Ellipse—the grassy area south of the White House— is usually televised with tickets given by lottery in advance, with celebrities and the President and First Family doing the honors of lighting the National Christmas Tree and kicking off the season. The annual Capitol Christmas Tree lighting held on the West Lawn of the U.S. Capitol has been an American tradition since 1964 and is a great holiday event that you don’t want to miss. However, the official practice of lighting the “Capitol Christmas Tree” did not start until 1968 according to the Architect of the Capitol. 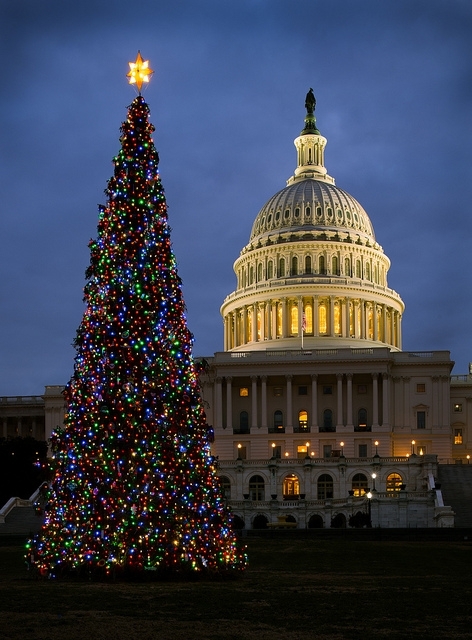 Image: 2013 Capitol Christmas Tree. Image source: Architect of the Capitol. The Capitol Christmas Tree should not to be confused with the National Christmas Tree, which is planted near the White House and lighted every year by the President and First Lady. The Speaker of the House officially lights the Capitol Christmas Tree. A lesser known but charming Capital City tradition comes from Norway. Since 1996, the Royal Norwegian Embassy in Washington, D.C. has given a Christmas tree to the American people as a symbol of friendship between the United States and Norway. The lighted tree is usually decorated with both U.S. and Norwegian flags, and can be found in DC’s Union Station train station. 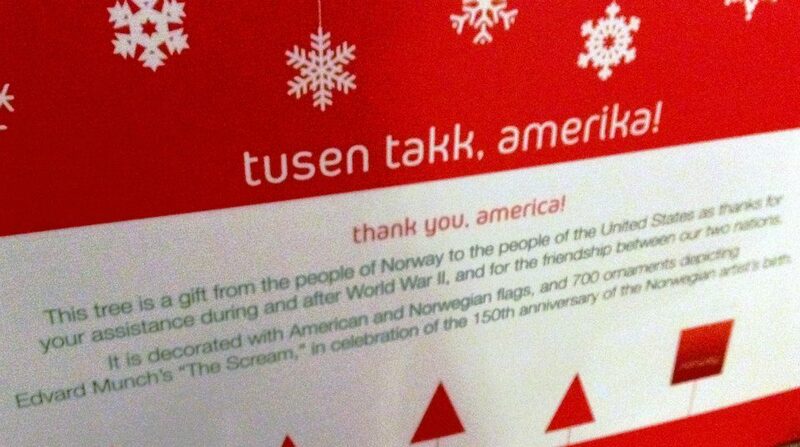 As explained by the Norwegian ambassador in the annual lighting ceremony attended by high-level U.S. military and Government officials as guests, the gift of the Norway-US friendship tree also express Norway’s gratitude for the assistance received from the United States during and after World War II. From a distance, all you see are the 20,000 lights and the American and Norwegian flags cascading up the 32-foot tree. 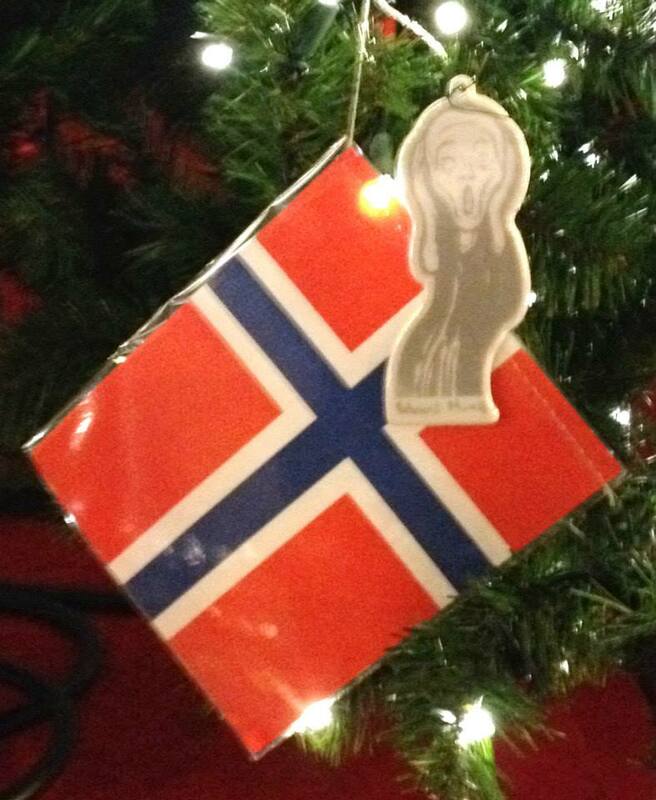 Upon closer inspection, this year’s visitors found 700 little reflective screaming faces on ornaments depicting Norwegian artist Edward Munch’s infamous “Scream” painting—placed on the tree by the humorous Norwegians in honor of 2013’s 150th anniversary of Munch’s birth. “In a way, [the “Scream”] symbolizes all the angst in preparing for an excellent Christmas,” said Norwegian Ambassador Kare Aas to the Washington Post with tongue planted firmly in cheek. Just taking a drive around the National Mall on a December night, seeing the National Christmas Tree and the Pathway of Peace, the national menorah, the Capitol Christmas Tree, and the Norway-US Friendship Tree can put you in more of a holiday mood. Incidentally, if you’re still looking for holiday gifts to go under your tree, GPO’s U.S. Government Bookstore has loads of gift suggestions on their Gift Guides & Calendars page. Or give an eBook for a great last-minute gift to anyone around the world. Hanukkah is past this year and there are only a few days left before Christmas day, but then again, there are always gift opportunities on Hogmanay, New Year’s Day, and Three King’s Day (Los Reyes Magos)/ Epiphany, too! HOW CAN YOU GET THE PUBLICATIONS LISTED HERE? And remember, worldwide standard SHIPPING IS FREE on the U.S. Government Bookstore website, so shop away! Shop Online: Download the free publications listed by clicking on the links in the article above. Click here to shop for publications about Trees. Click here to shop all eBooks. About the author(s): Adapted and expanded by Government Book Talk Editor-in-Chief and the US Government Printing Office (GPO) Promotions & Ecommerce Manager, Michele Bartram, from an original blog post by Jennifer K. Davis from GPO’s Library Services & Content Management Division that supports the Federal Depository Libraries Program (FDLP). Happy holidays from us both! This entry was posted on Tuesday, December 17th, 2013 at 6:24 pm and is filed under Children, Congress, Consumers, Department of Homeland Security, Emergency Response, Family, FEMA Federal Emergency Management Agency, Gifts, Libraries, Parenting, Presidents, The White House, U.S. History, Uncategorized. You can follow any responses to this entry through the RSS 2.0 feed. You can leave a response, or trackback from your own site. Good day from Serbia! I have to express my amazement for what you have published in this short posting. 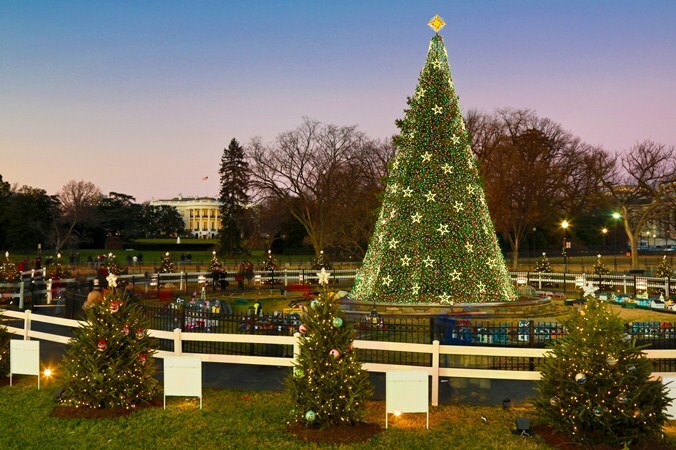 how beautiful National Christmas Tree and Pathway of Peace on Ellipse behind the White House. Credit: National Park Service. looking very nice . i also love this Christmas day. I want to see it with my own eyes! Government published tree and safety information that may be of interest.